The image of the salesperson's life, in my mind. Yuck. 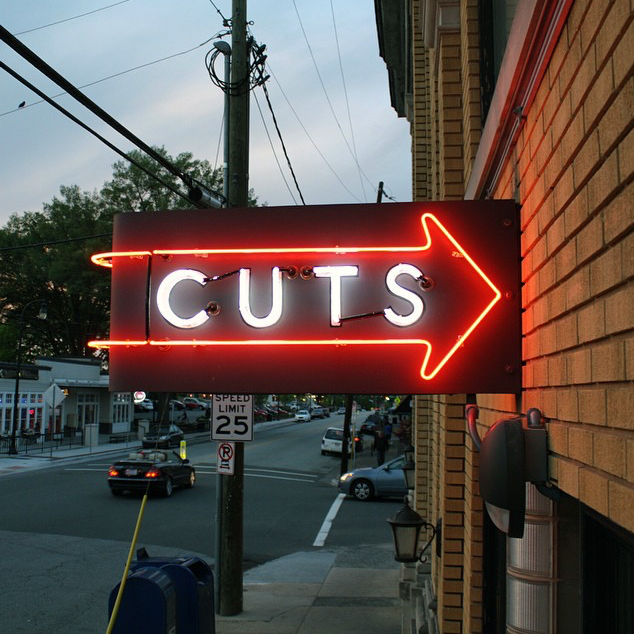 The Raleigh Architecture Company in North Carolina knows how to use media publicity to promote itself and its clients — including this retro-barber shop chain. I learned the hard way how to make life easier for you with media publicity. It happened one day a few decades ago, when was about to start the business which ultimately became the Construction News and Report Group. I had already overcome one challenge — resolving an utterly ineffective personality, combined with incredible fears, to live six years later through an African civil war as a foreign correspondent/expatriate. The image of the salesperson’s life, in my mind. Yuck. But this one would be even more difficult. Sure, I could write and function as a journalist and public relations press release writer — but starting a publishing business, from scratch, with no capital or family/personal connections — well, that might be considered downright insane. Two years previously, I had left a secure government civil service (writing) job to become a real estate agent. Most people around me (including the woman who would later marry me) thought I was nuts. “This isn’t you,” they said. And they were right. Although, through pure force and effort, I managed to end up in the top third within the industry (in other words, I could earn enough to support myself modestly, but not luxuriously), I knew I would never be a great at the business. Besides the work was tearing at my soul. I wanted to write. I wanted to be a journalist. So I decided to try to start a newspaper for local Realtors. However, this seemingly brilliant idea had a few near fatal flaws. This led to a couple of decisions, including figuring a way to obtain some income support while launching the new business. A few years earlier, I had worked in the federal employment department which (in Canada) administers the (un)employment insurance (UI) program. I knew then that there were no systems in place for budding entrepreneurs to tap into the program — if you were starting a business you were considered ineligible for UI. As well, as I had been working at a commission sales job, and doing okay, there would be no reason for my employer to dismiss me. In other words, I would need to get very creative to obtain these funds. My former employer agreed to co-operate and dismiss me. 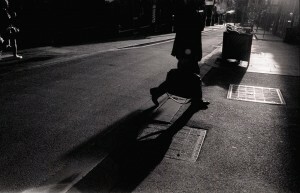 However, because of my occupation, the employment department called me for an interview before approving the benefits. And so I showed up — and allowed myself to be my natural, nervous, awkward, disheveled and truly uncomfortable self. If any acting would be required, it would be a natural extension of my own personality. The clerk, presumably able to relate to someone who had been in a government job previously (paying better than her salary), agreed instantly, and approved my benefits. I never found another “job” — but had 10 months of income to put some food on the table, as I rounded up my first advertisers, had them prepay for the new publication, wrote the articles, distributed the newspaper, and got into plenty of hot water as the publication was, well, full of news. This story takes us to the present — and the decisions we make in running our businesses, and providing support and marketing assistance for anyone in the architectural, engineering and construction industry. However, if you think beyond the advertising, to the overall relationship with the publisher serving the industry, the rules change, because, just as I realized some years ago that “I’m not a salesperson”, I also realized that you can deliver service and value in many ways beyond the obvious. We’ll never push anyone to advertise where it doesn’t make business sense. If your budget is limited, especially if you are in a start-up environment, you should focus on direct sales, association relationships, and community service/marketing. 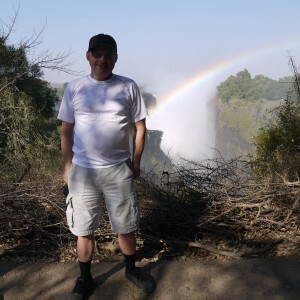 Me, returning to Victoria Falls Zimbabwe more than three decades after my initial experience there. When you are somewhat more established, however, you can put your business on a true growth trajectory with some effective multi-faceted marketing. We’ll help you with your news releases and media relationships (including obtaining free publicity elsewhere), guide you to work effectively with associations and community groups, and help raise your recognition and reputation, and attract new business. And yes, even if you (like me) are not a salesperson, we’ll show you how to discover business, both immediately and in the future. Go ahead. Call (888) 627-8717 ext 224 or email buckshon@constructionmarketingideas.com and we’ll spend a (free) 45 minutes to learn about your circumstances and suggest strategies going forward. You don’t need to be a great salesperson (or marketer) to achieve incredible success within this industry. Take the next step. Previous articleWhen the story script changes: How do we adapt? Next articleCan you tell your own story (or do you need someone to help you)?